Thousands of businesses die out each year, but most business failure provides signs. If you fear that your business is failing, you need to take a look at the warning signs. 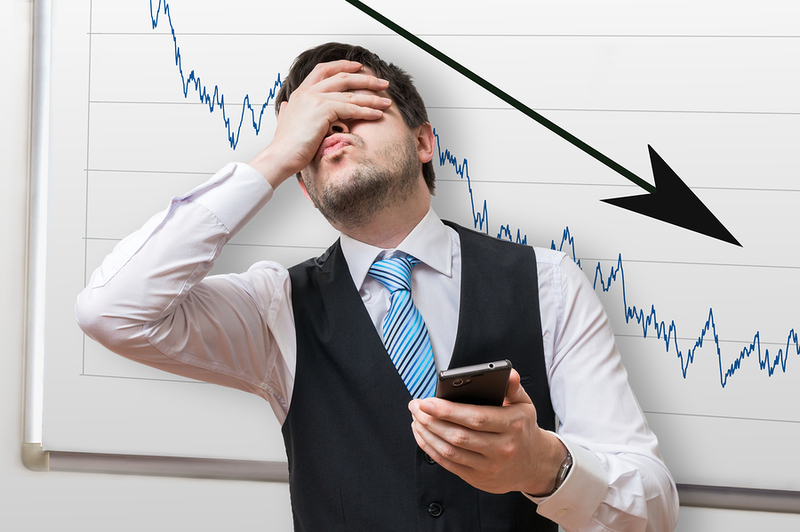 From a declining market to poor management , you may be experiencing some of these signs. The good news is that there are many ways to get around these failures, to get you over the wave that may sink your business. If you are experiencing low sales or no sales currently, you need to take a look at the market around you. Perhaps the industry is in a rough spot due to economic crisis. Maybe your product has gone through its life cycle and it is time to move on. There are many things that can contribute to a declining market, but there are things you can do to keep trucking through the long haul. Innovate. Don’t think that your product is dead to the world just yet. Be sure to look at all angles of your product or service. Is there a way that you can make an improvement that would put you back at the top of the market? Do your research to find new ways to improve on your business. Advertise. Your market seems slim. Your customers are harder to find than usual. The best thing to do is to get your name out there. If you are worried about spending the extra cash on advertising, go for a free service such as Facebook or LinkedIn. Participate in a giveaway, contest or partner up with other small businesses so that you are not opening your wallet as often. Businesses that have negative cash flow statements are already underwater. If you cannot afford to pay your staff, yourself, or your creditors, you are in need of a serious money evaluation. Good news is, there are plenty of professionals out there that can help turn it around. Ask for help. Go to a professional accountant if you are drowning in debt. If you are not paying your employees, creditors, or investors, you will most likely be out of business in a short period of time. If these people see you making an effort to fix your issues through professional help, you will more than likely get more time to make up for your lack of cash. Do not be afraid to ask questions of how you got here and what you can do better for next time. You will need serious answers in order to continue business effectively. Downsize. Downsizing may sound like the purest evil in the business world, but if you are in over your head money-wise, you need to wise up. Dump your unnecessary expenses. You don’t need the 50 extra channels for the TV in your office. Get rid of the workers that have not been performing adequately and use that money to pay back on the debt you owe. If you know you are in trouble and do not seek advice, you may be sabotaging your own chances of success. If you are in trouble and seek the advice of someone not qualified, say your father who had two years of undergraduate accounting, your business will suffer. Any small business undergoing tough times should be seeking the help of a professional that can actually help and is qualified. Do the research. The internet is here for a reason. Get to your keyboard and start reading about your options for small business coaching. Make sure that any professional you choose has references and is within your budget. Pick up the phone. Call your professional of choice. If it’s a marketing coach or a business coaching services firm, you need to have questions prepared in advance. Be honest and open about the issues you are experiencing. Picking up the phone is the hardest part, but your business will be in much better shape for it. If you walked into your industry without doing an ounce of research, you are in for a world of hurt. Competitive analysis is key to coming out on top in your industry. Big or small, businesses are often pushed out of the market because of the inefficient research they did before entering the industry. Research before, business after. It is vital to your company’s success that you have an in-depth look at the top competitors in your market. Do not do minimal research and expect a big outcome. If you pursue your business before doing the research, you will only be able to compete for a short period of time and not the long haul. It’s easy to tell in the business world when someone has little to no experience managing a business. Whether this person is you, your boss, or an employee of your own, you have to have some kind of experience, coaching/professional support or your business will fall apart. Consider coaching. Small business coaching and marketing coaches can be a lifesaver. If you are feeling behind in your industry, a coach can give you advice and knowledge based off past experiences of their own. The easiest way to get experience in a short time frame , is to collaborate with someone who has. Go out and experience. Be sure you take some time out of your busy schedule to learn from seminars, online videos and tutorials, or follow someone you know in your industry. The best way to get experience is by doing and observing, so you must be willing to do some work on your end to keep your business from failing. If your company has been the same since day one, then you are climbing a mountain peak you will never reach. Starting your own business is about constant change, innovation, and differentiation in the market. You would not have started your business if your idea was not slightly different than the rest of your competitors. To stay ahead, you have to maintain that mentality for the success of your business. Create. It’s as simple as sitting down and making a list or doodle of what you want to accomplish. It has to be something different and creative, not just “My product is cheaper than yours.” You have to be willing to take a leap to differentiate your business from others and you cannot do that without continuous innovation. Businesses that are afraid of change are always the ones that end up going out of business in the long run. A clear and unique value offering is a start. If you’re unsure of what your business’s true focus is, the easiest way is to look at the way you organize your employees, products and services, and business strategies. If it all seems like a jumbled mess and your staff is confused about who they report to, this is a sign you need to rethink your structure. If you find you start the day with the latest crisis dictating your time – it’s time to define strategy and direction. Reel it in. Find ways to simplify your practices. Do your employees report to multiple people or your marketing campaign includes fifteen different advertisements? Time to scale back and concentrate on what works in your advertising and a better system for reporting. Eliminate unnecessary repetition, reviewing and authorizations. In business, more work and effort doesn’t always mean you make the most money. Start with one area. If you are finding it hard to simplify your business, start with one aspect of your business. If you website looks like a mess, call in a website developer to create a simple site that your employees and customers can use with ease. By starting off small, you can regain your focus and start pushing back on the areas of your business that caused the mess. A few quick wins will motivate you to step up. If your business is failing or seems to be losing market share, take a look at all of the things that comprise your business. From employees to accounting to simplification, you can still make headway and keep your business afloat by resolving issues that you can control. Professionals are available to help you. Your pride may get in the way – don’t let it! When it comes to your business the hardest part is asking for help, but once you get it you can move forward and create a bigger, brighter future for you and your business. Why not fill out your details in the form ( footer below) and arrange a free Strategy Session today?